CTeen of the Beaches encourages teens to take an active role in their community by making an impact. CTeen are empowered to add their creative input and talents to participate in humanitarian projects to benefit our communities of Long Beach, Lido, Atlantic Beach and beyond. ...and ‘loaves of love’ – baking challah bread for the elderly. 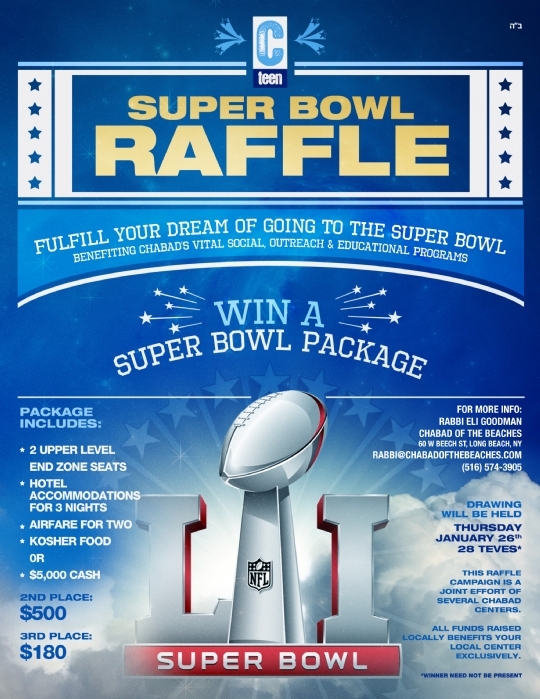 Please help support this important and vital work by participating in this super cool super bowl raffle! All funds raised will go to our CTeen & C-Teen Jnr. programming that is taking our city by the storm.